Scoliosis is diagnosed when the angle of spinal curve (to the side) measures more than 10 degrees – left or right. 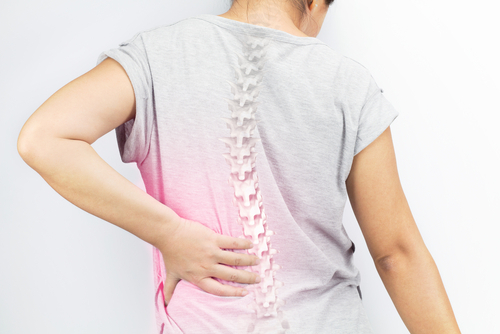 It is common for the spine to begin with a minor curve and the curve worsens over time. An Adams Position test – when a patient bends forward as far as possible – shows if scoliosis is present. If scoliosis is noticed, an x-ray is taken to understand the extent. In as many as 80% of patients diagnosed with scoliosis, the cause is idiopathic or unknown. If the cause is known, it is due to a structural or nonstructural cause. A structural cause could be from: tumors, infections, birth defects, muscular dystrophy, cerebral palsy, or down syndrome. A nonstructural cause could be from: muscle spasms, inflammation, or one leg being longer than the other. The good news is that when scoliosis is discovered and chiropractic care is received, it can prevent, slow, and stop the progression of scoliosis. If you have been diagnosed with scoliosis, call our office today to schedule an appointment with Dr. Rob Cartwright in Fairfield to see how he can help.